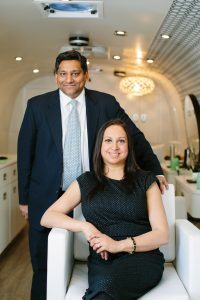 Meet Sachin Shah and his wife Maulee Tolia, co-owners of JOOJ Blow Dry and Featured Business Owners at SCORE Chicago this week. Learn how they started and what tips they have for your success. We were at a cousin’s 40th birthday bash and saw how a great blowout gave the hostess extra confidence and grace throughout the evening. In case you are curious, here is the story on the name JooJ (pronounced “zhuj”.) A quick primp can turn familiar into fabulous, and do wonders for how you feel. There’s a term for this in the fashion world: Tszuj. We put our own spin on it, making it both playful and attractive — JOOJ stands for great hair and an even better experience. Who are your clients and give an example of how you served that person or business? Because we are mobile, and not a brick and mortar, we save money on expensive retail rent, yet have access to our target demographic, Millennials, whether they are at work or play. Currently we are operating at several corporate office buildings, in the trendy Fulton Market neighborhood, and at Westfield Old Orchard Shopping Center. Due to our lower overhead cost we are able to offer a higher salary, which attracts more talented stylists, and are able to offer luxurious amenities such as branded headphones, selection of beverages, and reading materials, music and videos on tablets. Building a customer base from scratch. 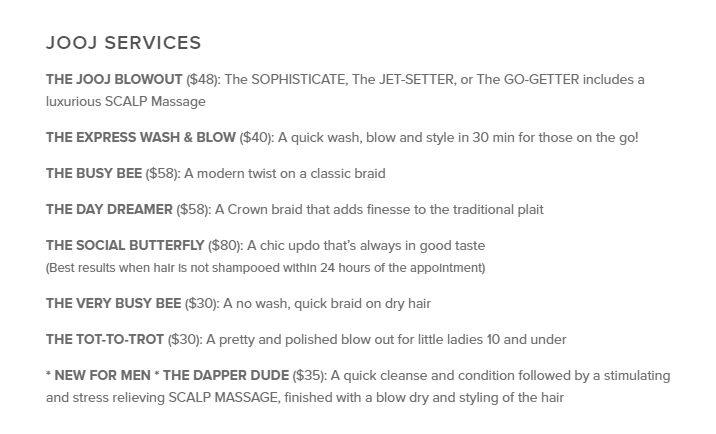 It takes a lot to gain the trust of a client when working with her hair, but once we convince the customer that we offer a superior service they are very loyal and provide priceless word of mouth. Mark Lieberman was instrumental in helping us build a business plan that also lead to a small business loan. Try to learn every aspect of your business and outsource as little as possible. Not only does this save precious capital, but helps you understand the complexities of your business. Also do not be afraid to try everything, as you just do not know what will stick.